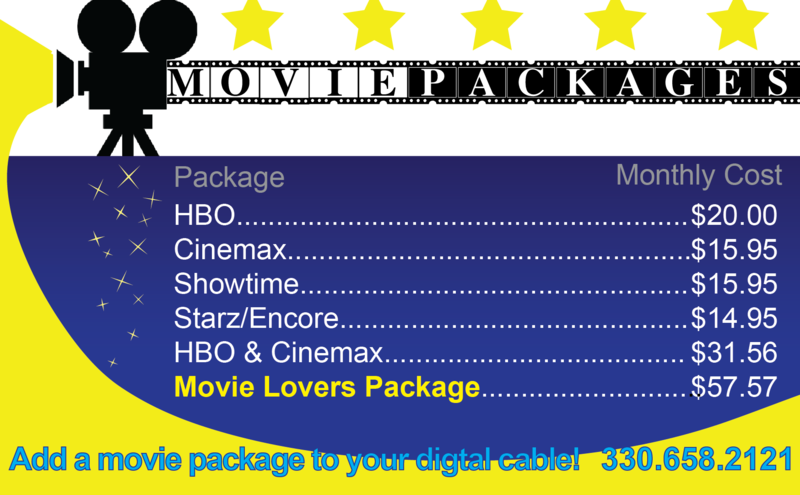 Whether you're an avid TV watcher or just need the basics, we've got the right cable package to suit everyone's budget. For a list of channels available on each package, view our Channel Lineup or click on the package name to follow the link to the individual pages. 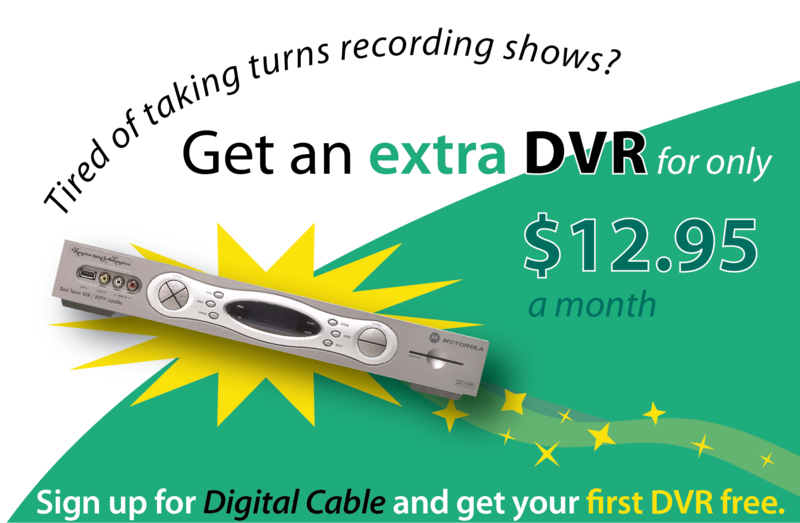 You can also scroll to the bottom of the page to view special promotions and closed caption information. Ready to start a new service or upgrade? Give us a call at 330.658.2121, or stop by the office today...we're in town!